No matter the size of your project, Clip 'N' Dales can create the yard you've always wanted! Learn more about Military, Police and Fire Fighter Discounts! Call Us Today To Schedule Your Fall Clean Up! 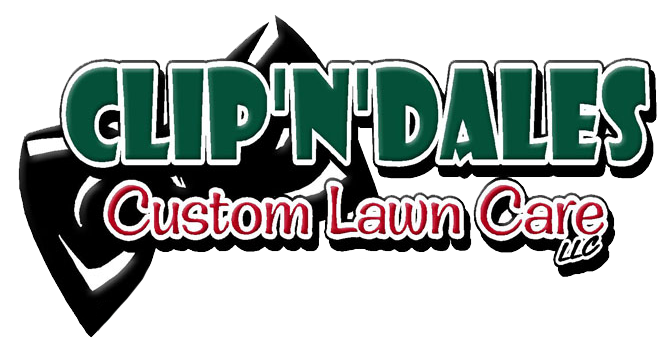 Your search for a quality lawn care services in the Davison, Michigan area is over once you choose Clip N Dales. Our service, customer care, and quality products keep clients calling for lawn care services over and over again. We have been providing excellent landscape design, lawn aeration, mulching, pressure washing and other outdoor services to the Davison, Grand Blanc, Lapeer, Burton, Fenton, and Flint citizens for years, and enjoy every minute of it! Our love for landscaping shows in every detail of each job we complete. Why climb out of bed early every Saturday morning to mow your lawn? We have a passion for creating beautiful landscape designs and maintaining them throughout the year. Let us work at our passion while you work at yours. Leave the landscaping of your Michigan home or business to Clip N Dales. Why climb out of bed early every Saturday morning to mow your lawn? Save your time and your energy by letting Clip N Dales complete all of your landscaping tasks on a weekly schedule. We have a passion for creating beautiful landscape designs and maintaining them throughout the year. Let us work at our passion while you work at yours. Leave the landscaping of your Michigan home or business to Clip N Dales. If it's time to add a pop of color or an accessory to your yard to give it some personality, Clip N Dales can help. Landscaping and complete property management is just one of the services we offer or area clients to help them keep the outdoor areas of their homes and businesses wonderfully manicured. To read in more detail our full list of lawn care services for residential clients please visit our residential landscaping page. If you are a business owner looking to contract your landscaping services out, please view more of our property maintenance services by clicking on our commercial landscaping page. Upon learning more, don't hesitate to contact us to inquire about scheduling or rates. After five years in business on our own, we've gotten to know and cherish all of our clients and we welcome you to join our family of loyal customers. Once you hire us for a service, we know you'll call for another. We look forward to speaking with you soon. We're always willing to talk about a project or schedule a time to come by your property and complete services. Learn more about Clip N Dales Custom Lawn Care services such as lawn aeration, power washing and mulching by viewing our Services page, and find out why we our landscaping company is number 1 in Davison, Flint, Lapeer, Burton, Fenton, and Grand Blanc, MI. This company has the passion for detail and perfection. They perform every task with effective organization and precision. In one word, Professionals!